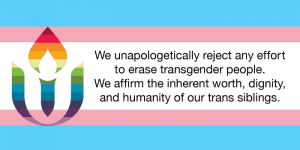 A modified Transgender Pride flag with the UUA logo in rainbow colors superimposed, with the words, “We unapologetically rejectany effort to erase transgender people. 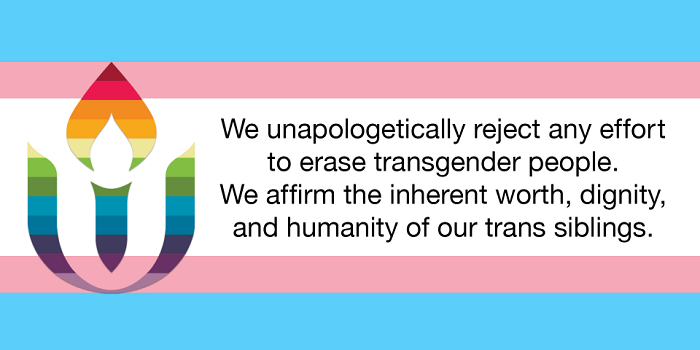 We affirm the inherent worth, dignity, and humanity of our trans siblings. Source: UUA “Uplift” newsletter sent March 29, 2019.